Escape the urban bustle at Shiraito Falls and Numazu Port. Change things up with these side-trips from Susono: Numazu Deep Sea Aquarium (in Numazu), Fujinomiya (Masunoie, Lake Tanuki, & more) and Gotemba (Gotemba Premium Outlets & Niihashi Sengen Shrine). There's much more to do: stroll through Kakitagawa Park, take in the spiritual surroundings of Mishima Taisha, get to know the fascinating history of Gempeigawa River, and see exotic creatures in open habitats at a safari tour. For photos, where to stay, traveler tips, and more tourist information, refer to the Susono holiday planner. Singapore, Singapore to Susono is an approximately 13.5-hour flight. Due to the time zone difference, you'll lose 1 hour traveling from Singapore to Susono. Traveling from Singapore in October, things will get a bit cooler in Susono: highs are around 25°C and lows about 22°C. Finish up your sightseeing early on the 5th (Thu) so you can travel to Shizuoka. With its upmarket shopping districts and scenic coastal landscape, Shizuoka stands as the main urban area of a province often referred to as Japan's riviera. 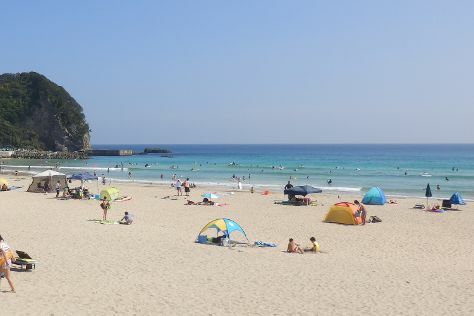 Step out of the city life by going to Miho Seacoast (Miho no Matsubara Beach) and Okuzure Seacoast. Family-friendly places like Nakatajima Beach and Hamamatsu Flower Park will thrill your kids. You'll find plenty of places to visit near Shizuoka: Maehama Beach (in Makinohara), Horaibashi Bridge (in Shimada) and Kakegawa (Kakegawa Castle & Kakegawa Kachoen). Next up on the itinerary: stroll through Nihondaira Zoo, snap pictures at Yume no Tsuribashi Suspension Bridge, don't miss a visit to Satta-toge Pass, and take a leisurely stroll along S-Pulse Dream Plaza. For more things to do, photos, traveler tips, and other tourist information, refer to the Shizuoka itinerary builder. Drive from Susono to Shizuoka in 1.5 hours. In October, daily temperatures in Shizuoka can reach 24°C, while at night they dip to 20°C. Finish your sightseeing early on the 11th (Wed) to allow enough time to travel to Minamiizu-cho. Get outdoors at Tatadohama Beach and Yumigahama Beach. Kids will enjoy Sotoura Beach and Shimoda Aquarium. Venture out of the city with trips to Nishiizu-cho (Dogashima Island & Dogashima Tensodo Cave), Shimoda (Mount Nesugatayama Observatory, Perry Road, & more) and Kawazu Nanadaru Waterfalls (in Kawazu-cho). For where to stay, more things to do, traveler tips, and tourist information, read Minamiizu-cho holiday planner. Getting from Shizuoka to Minamiizu-cho by car takes about 3 hours. In October in Minamiizu-cho, expect temperatures between 25°C during the day and 22°C at night. Wrap up your sightseeing on the 16th (Mon) early enough to travel to Ito. Not too far from the capital, Ito has developed a reputation as a resort town, with a fair portion of its area lying within a national park. 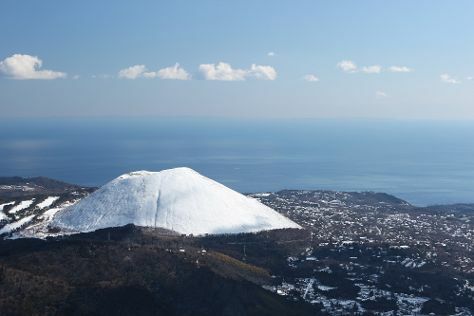 You'll visit kid-friendly attractions like Mount Omuro and Izu Shaboten Animal Park. 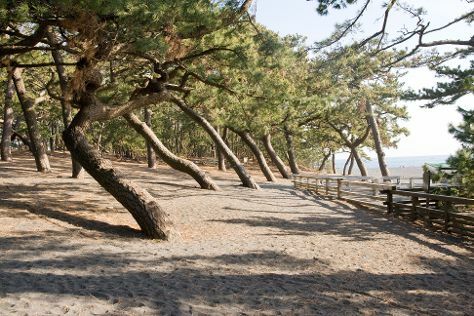 Get in touch with nature at Atami Sun Beach and Jogasaki Coast. Explore the numerous day-trip ideas around Ito: Izu (Shuzen-ji Temple, Shuzenji Nijino Sato, & more), Atami (Hatsushima & Kinomiya Shrine) and Higashiizu-cho (Atagawa Tropical & Alligator Garden & Izu Animal Kingdom). There's much more to do: stroll through Komuroyama Park, browse the different shops at Asian Old Bazaar Izu Ubud, take in the views from Kadowaki Bridge, and don't miss a visit to Jogasaki Suspension Bridge. For photos, maps, ratings, and tourist information, you can read our Ito trip itinerary maker. Traveling by car from Minamiizu-cho to Ito takes 2 hours. In October, daily temperatures in Ito can reach 25°C, while at night they dip to 22°C. You will have some time to spend on the 22nd (Sun) before leaving for home.